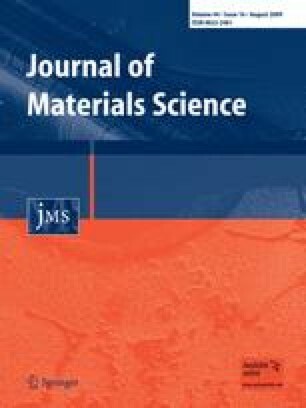 The present work is focused on the understanding of the phase and microstructural evolution during mechanical alloying of 82Cu–14Al–4Ni powder mixture. Morphology and phase evolution in the milled powder at different stages of milling were studied and a physical modeling of the mechanical alloying has been proposed. It has been demonstrated that milling process mainly consisted of four stages, i.e., flattening and cold welding of powder particles to form a porous aggregate followed by its fragmentation, plastic deformation of small aggregates to form layered particles, severe plastic deformation of layered particles to form elongated flaky particles, and fragmentation of elongated particles into smaller size flaky powder particles. It was also found that the initial period of milling resulted in rapid grain refining, whereas alloying was accomplished during the later period of milling. TEM study of the 48 h milled powder revealed that the microstructure was equiaxed nanocrystalline in nature. It was found that the grains were either randomly distributed or arranged as banded type. A possible explanation for such a behavior has been presented.